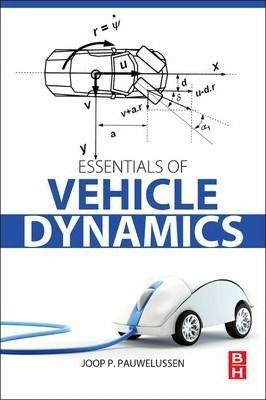 Essentials of Vehicle Dynamics explains the essential mathematical basis of vehicle dynamics in a concise and clear way, providing engineers and students with the qualitative understanding of vehicle handling performance needed to underpin chassis-related research and development. Without a sound understanding of the mathematical tools and principles underlying the complex models in vehicle dynamics, engineers can end up with errors in their analyses and assumptions, leading to costly mistakes in design and virtual prototyping activities. Author Joop P. Pauwelussen looks to rectify this by drawing on his 15 years' experience of helping students and professionals understand the vehicle as a dynamic system. He begins as simply as possible before moving on to tackle models of increasing complexity, emphasizing the critical role played by tire-road contact and the different analysis tools required to consider non-linear dynamical systems. Providing a basic mathematical background that is ideal for students or those with practical experience who are struggling with the theory, Essentials of Vehicle Dynamics is also intended to help engineers from different disciplines, such as control and electronic engineering, move into the automotive sector or undertake multi-disciplinary vehicle dynamics work.